Trip from 3 April 2009 ~ 17 May 2009. I was packing the whole night without a minute nap! 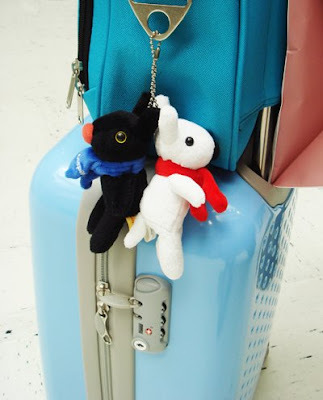 Gaspard & Lisa from UFO catcher. First day brunch at a Melaka Cuisine restaurant at SS2, Petaling Jaya. And wow, for a girl biggest satisfaction, there's a big big mirror in the restaurant! Girls thrilled when they saw a big mirror. 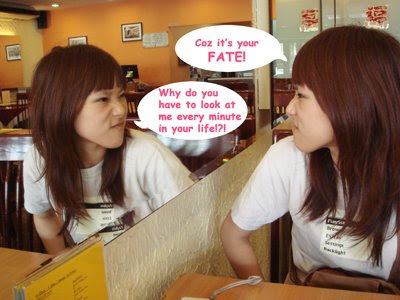 Girls smile when they saw a big mirror. Girls stop and and a second glance or more when they saw a big mirror. Because girls should stay cute and pretty. Mirror helps them improve themselves from all flaws! I love you MIRROR ! 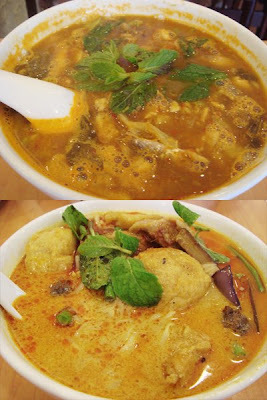 Speaking of food, we've ordered Assam Laksa and Curry Laksa which are all well-known in Melaka. Both are nice but Curry Laksa was abit too filling, maybe because of the coconut base. 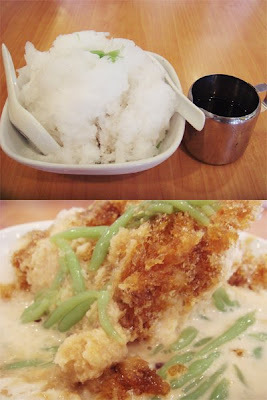 We've ordered the famous Gula Melaka Ais Kacang for dessert too.